From easy, ponderosa-pine shaded strolls to challenging strikes above the treeline, we have a dog-friendly hike for you. Perhaps the #1 reason you’ve come to Estes Park is to hike deep in the Rocky Mountains. Go ahead and scratch “perhaps”; it’s a sure thing. To top-out on a craggy summit or visit a remote lake or scamper along an Instagram-worthy ridgeline is on every visitor’s life list. 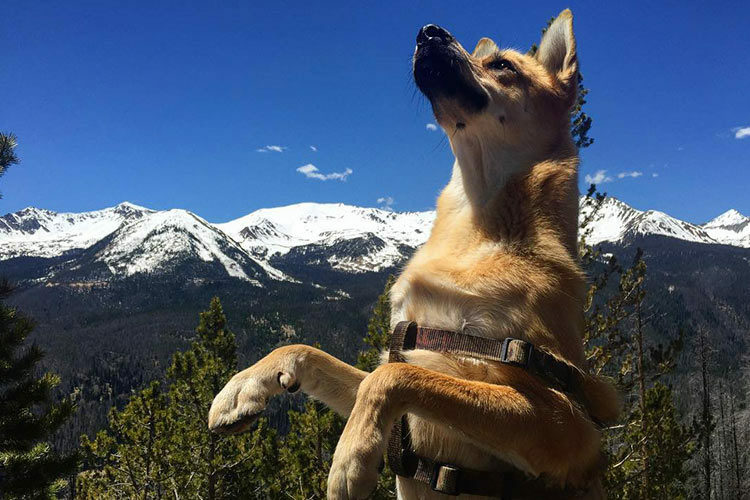 But, given no dogs are allowed on-trail in Rocky Mountain National Park, it can be tougher to find somewhere to hike with your furry, four-legged friends. 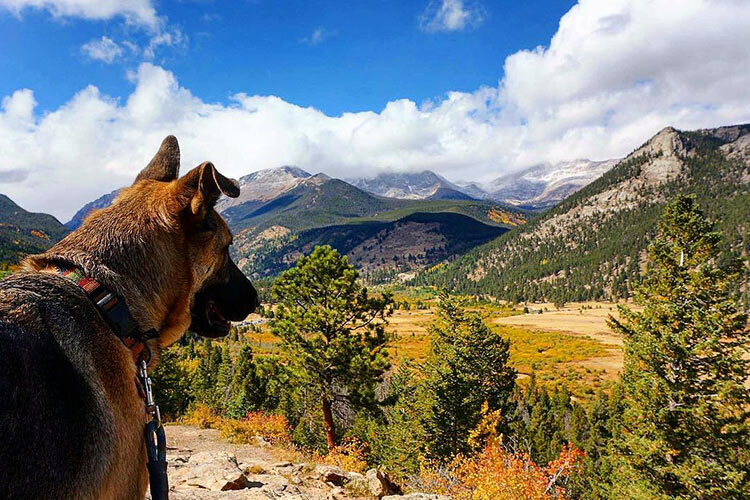 Problem solved: These five trails are our go-to hikes for adventuring with your dog. 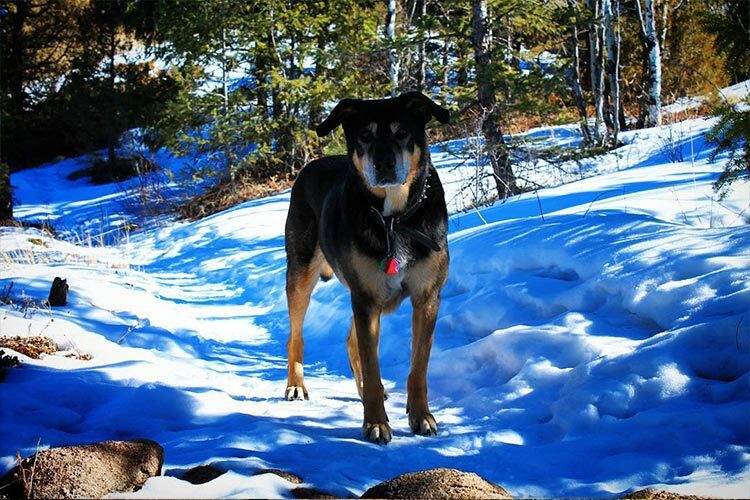 And, while it’s not a backcountry experience, you can always hit the dog park to give your pooch a quick fix. We admit to being totally biased, but this has to be one of the coolest dog parks, worldwide. There’s even lake access. Speaking of the lake, you can also walk just under four miles around Lake Estes on a paved bike path. Check out our blog for maps and longer descriptions of each hike here. Appreciate the natural and cultural resources of the park. Keep your pet from digging in any area of the park or historic site, and out of any buildings. Enjoy your pet’s company but remember that not everyone is comfortable around them. Keep your pet leashed and under control. Enjoy water recreation but remember, the water isn’t a bathtub for your pet. Keep them away from swimming areas and beaches. Keep your pet with you. Leaving it unattended is no fun for the pet or nearby visitors. Make sure your pet has plenty of water and food. Leave no waste behind for the next visitor to find. Bring your own bags to pick up your pet’s waste. Ask about waste bag dispensers and the location of trash dumpsters. Respect the natural habitat of wildlife by keeping your pet at a safe distance. Enjoy all the benefits of the outdoors and keep pet noise to a minimum for the benefit of other visitors.